Fitbit might seem to have hammered down the wearable fitness tracker market, but it’s surely not the only player in town making moves, since the space is heavily saturated by offerings from not only the fitness-only folks, but even smartphone makers as well. 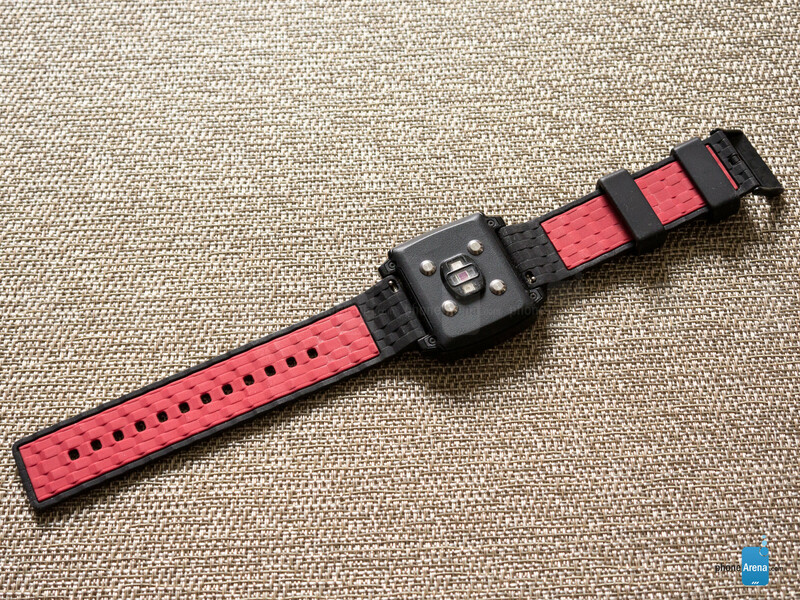 You may or may not have heard of them, but San Francisco based Basis, which is now owned by Intel, has responded accordingly by bringing to market its ‘ultimate’ fitness and sleep tracker in the Basis Peak – a watch-like wearable that aims to compete against the likes of Fitbit, Microsoft, Jawbone, and much more. Tracking all sorts of motion and gathering data is one thing, however, making all of what it accumulates in the process, and delivering it in a meaningful way, is what separates the good from the best in this class. Not one for the theatrics, the design is as utilitarian as it can get. Don’t bother getting the Basis Peak if you’re all about the design and aesthetics, mainly because it’s as utilitarian as they come. As opposed to the sporty and discrete styles we’ve seen in this category, the Basis Peaks opts to favor a watch-like design first and foremost. 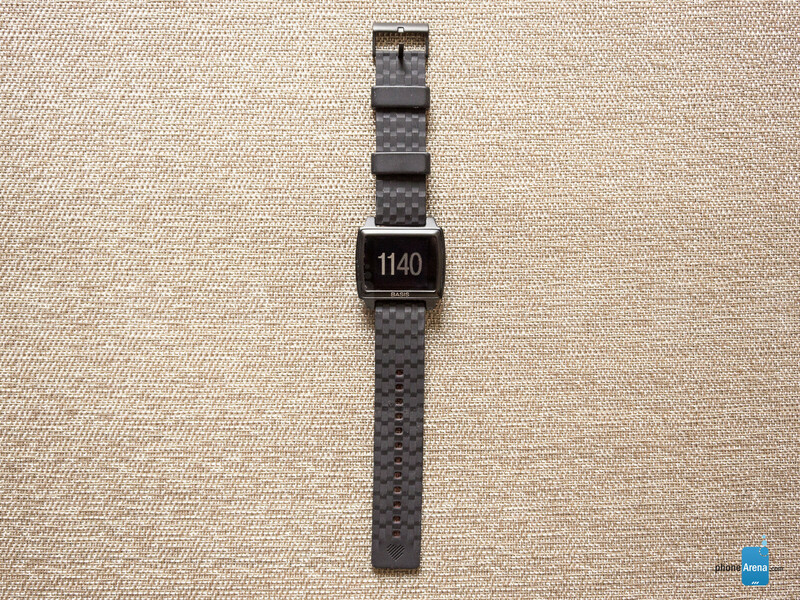 Compared to the Fitbit Surge, which we find to be in the same caliber as this, the Basis Peak is blocky and dull. It doesn’t even attempt to be polarizing in any way with its design. Despite that, we’ll give it credit for being solidly constructed – more so than the Surge and most others as well, thanks in part to its forged aluminum body. To tell you the truth, though, the body feels almost plastic in nature, but regardless, the matte black finish of our review unit has a pleasant uniformity to it. At the same time, too, it feels almost indestructible, to the point that it offers water resistance up to 5ATM (50 meters/165 feet). Therefore, there’s no worry about sweaty workouts, the rain, or even a long dip in the pool. In fact, we even used it on a quick swim in the ocean with no issues at all! 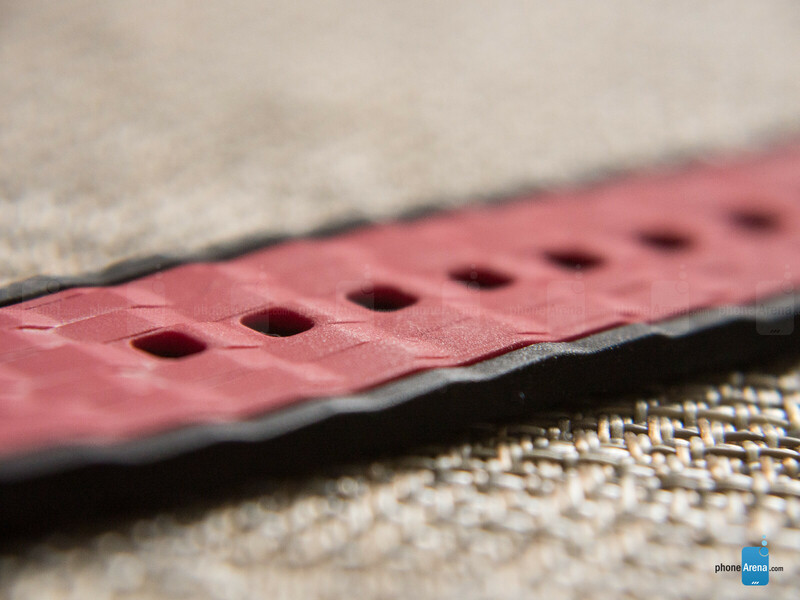 The design isn’t flattering, but boy do we dig the soft 3D textured silicone strap, which can be easily swapped for any of the other 23mm options that Basis sells through its site. All that’s necessary is to move the pin switch on the underside. Wearing it long term, we never felt it to be too irritating, so the comfort is maintained throughout – while adjusting it is a cinch too! 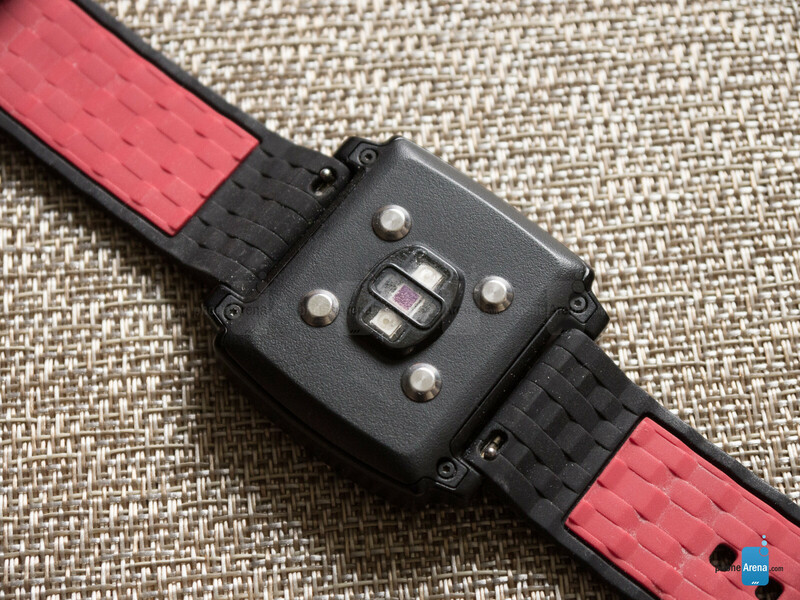 Looking around the Basis Peak, you’ll notice that there are no buttons or openings of any kind – except for the underside, which houses its various sensors. 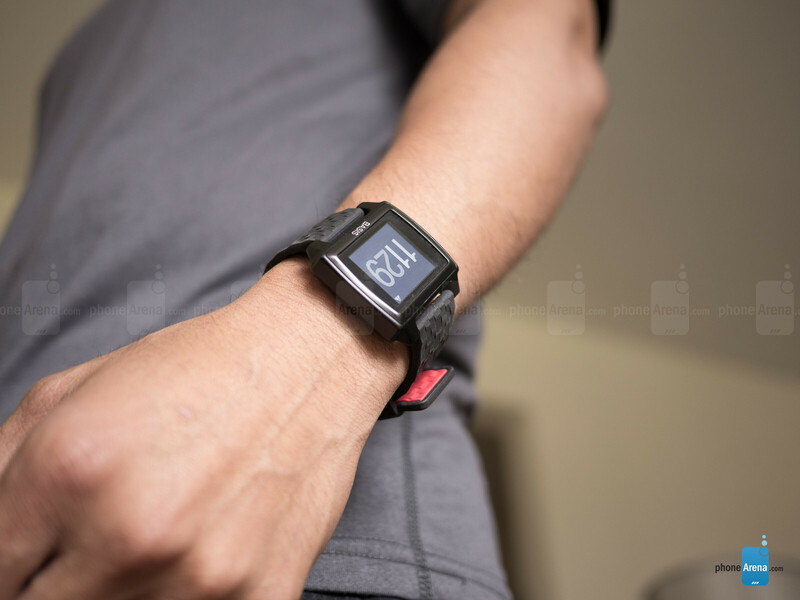 The potent green glow of the heart rate sensor is evident, almost blinding in the dark, but it also features a 3-axis accelerometer, skin temperature, and Galvanic skin response sensor. There’s nothing fancy here, but at least it has the essentials. Well, it’s certainly not techy when you think about the various display technologies out there, but the Basis Peak comes with a 1.26-inch 144 x 168 touchscreen, which is monochrome – though, with backlighting to make it visible in the dark. Obviously, it’s simply here to provide us instant access to relevant information and nothing more. Outdoor visibility is no problem here, as well as its response, but activating the backlight can be finicky. Essentially, we need to perform a swipe up gesture along the right edge of the screen to turn it on – while a swipe down turns it off. Like we said, there are no theatrics with this display whatsoever. It tells the time, we can check out our heart rate, and even view our step tally for the day. However, we need to use the accompanying mobile app to view the results from previous days. Another con is that they do not yet officially support Android 5.x. 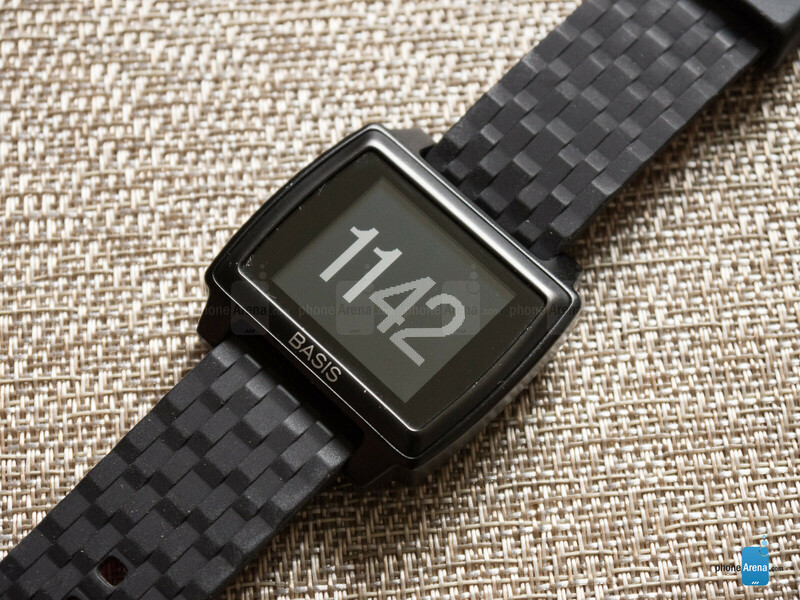 The black aluminum model looks ok but for a more stylish option check out the Peak Titanium model on their website.